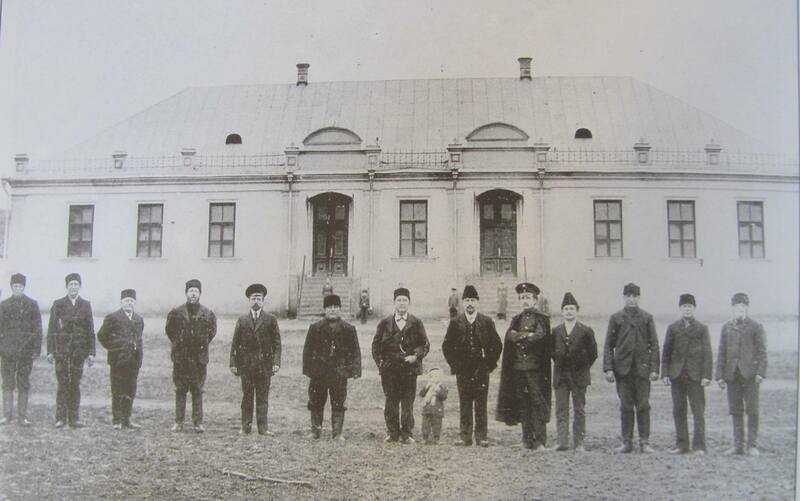 This is part 3 of 6 blog posts on my grandfather’s home village of Hoffnungstal, Bessarabia (now Ukraine). Until 1858, there was no schoolhouse or teacher in Hoffnungstal. Children attended school in a farmhouse and the teachers were those farmers who were knowledgeable in reading and writing. Once a schoolhouse was built, the subjects expanded to also include arithmetic and the Lutheran catechism. The schoolbooks used were primarily the Bible, the hymn book, and a catechism. Instruction in religion was the primary purpose for education and Hoffnungstalers had little use for additional education. Leopold Roßmann was the main teacher in the Hoffnungstal school from 1874 until 1916. Until the late 1890s, he was the only teacher in the school despite having a large number of students. Even in 1905, there appear to have been only two teachers for 330 students. 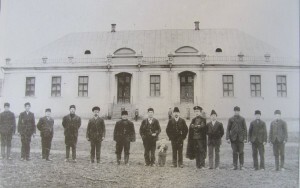 In the 1890s, the Russian government passed a law requiring that school be taught in Russian, and in 1896, the Hoffnungstal school received a Russian teacher in addition to Herr Roßmann. However, it’s questionable whether the students learned very much since they probably spoke little or no Russian. Herr Roßmann was a strict disciplinarian and well respected, almost to the point of fear, among the young and old of Hoffnungstal. He enjoyed music and sang with a strong voice in church services. As teacher, he also served as sexton. 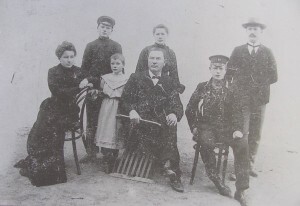 The sexton’s duties included reading the Sunday service (since Hoffnungstal shared a pastor from the parish church at Klöstitz), leading the choir, and arranging for baptisms and burials in the absence of the pastor. For years, there were attempts to introduce schoolbooks other than the Bible into the school. (There was a new ABC book with colorful pictures of a rooster on the front cover and Little Red Riding Hood on the back cover that was popular in other places.) Although these were finally accepted during the tenure of Pastor Julius Peters, the village’s resistance to this scandalous innovation caused one pastor, Reverand Burkhardt, to actually leave the parish. This continued until the late 1930s, when the last sexton-teacher of Hoffnungstal, Emil Wernick, was able to introduce some changes such as reviving the church choir, introducing a Ladies Aid Society, and starting a youth fellowship. The village of Hoffnungstal was always staunchly Lutheran. Although several of the initial settlers were Catholic, they soon joined the Lutheran church. Up until 1918, there was a group of Separatists led by Michael and later Samuel Aipperspach, but that group eventually died out. 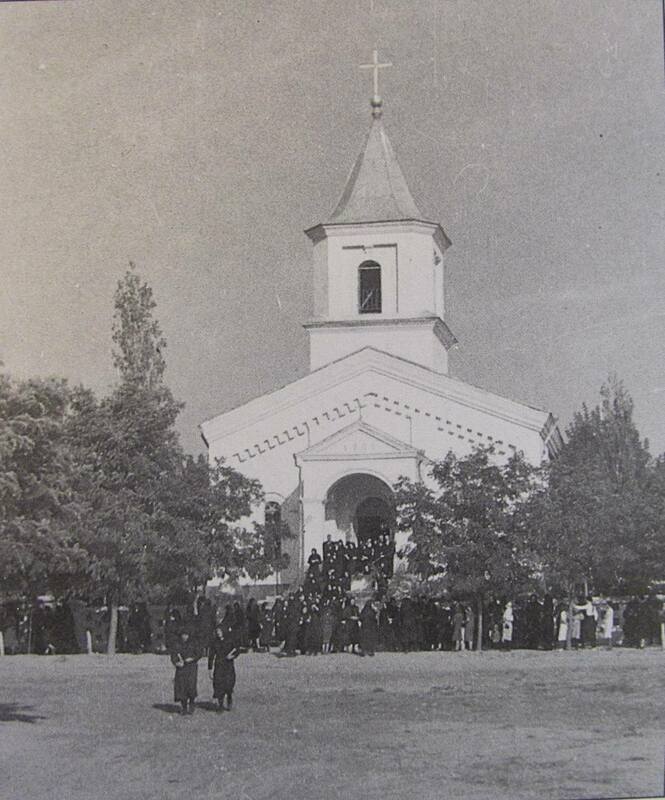 At the time of the resettlement (1940), there were no Baptists, Adventists or followers of any other sect because “the people of Hoffnungstal had no love for religious fanatics.” (Hoffnungstal Heimatbuch, p. 27)—“fanatics” apparently being anyone who wasn’t Lutheran. The schoolhouse also served as the prayer house or chapel until the Hoffnungstal church was dedicated on October 16, 1905. As part of the parish of Klöstitz, Hoffnungstal shared a pastor with other villages in the parish, so the local sexton-teacher was responsible for many of the daily pastoral duties in the village. Confirmations and weddings were presided over by the pastor at the church in Klöstitz, but if you wanted the pastor (rather than the sexton) to give a funeral service, you had to arrange for his transportation, picking him up and returning him home by wagon. 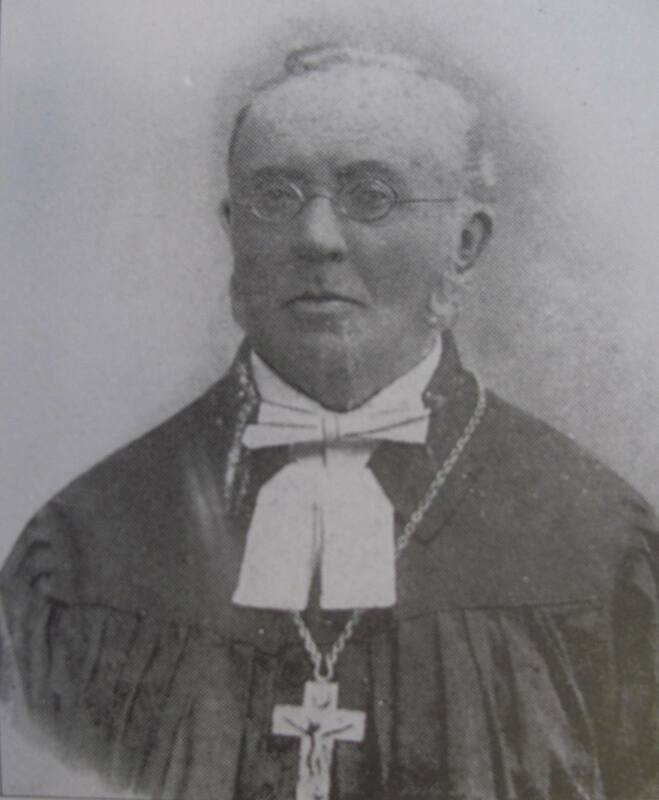 From 1879 to 1915, the Klöstitz parish was served by the Reverend Julius Peters. 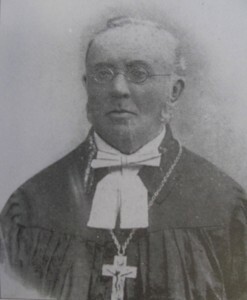 Reverend Peters was well-known by the German settlers in Bessarabia and was sometimes called the “Vicar of Bessarabia” since he often helped out by serving in other parishes when they did not have a pastor. He was of middle stature, with a friendly face and glasses. He was faithful right up until the end of his life as he died in the pulpit while holding an evening Lenten service. My father, Rudolf Schulz, went to the Werner School. @Heidi – that is so cool! Did he ever talk about his time there and what classes were like? I saw the ruins of the Werner Schule when I was in Bessarabia in 2001. Hi! My name is Antonela, from Argentina. I´ve recently found my great grandfather´s dad marriage certificate! And Pastor Julius Peters is the one who married him and his wife. It´s amazing how internet help us knowing things about our families! Thank you so much! Antonela – that’s awesome! What famiy name are you researching in Hoffnungstal? I´m searching for my great grandfather, but I´ve just discovered that his family moved out of Hoffnungstal before he was born. His older brother, Christian Schroeder was born there in 1895. But my great grandfather, Gottfried, was born in 1897 in another city. Hi Antonela – it depends what cities you’re looking for! Bessarabian villages tend to have pretty good records. I see on the Black Sea German FB page that Merv has been helping you with Crimean villages. But if you have other villages you’re looking for, let me know what they are and I will try to help. Hola me quisiera comunicarme con antonella, compartimos bisabuelos y nombre también, tenemos el certificado de matrimonio de Andrés y María Schroeder, padres de mi bisabuelo goddfred. Do we have two Antonelas here, both descended from Andreas and Maria Schroder? That’s awesome!